How can I get Real Photographs of Ghosts? 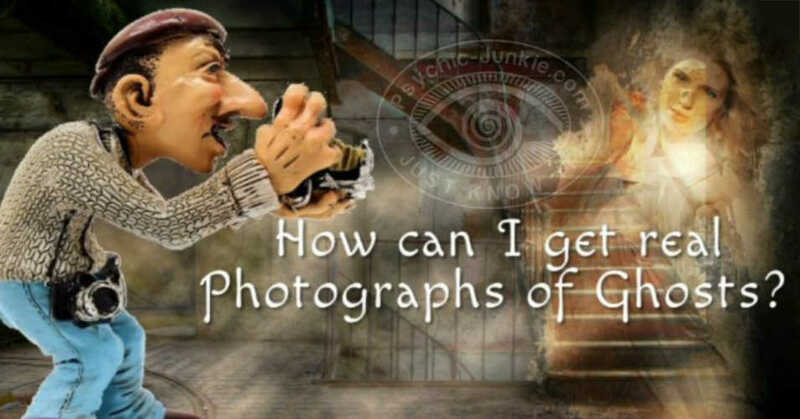 Sue Treanor is the verified author of this post about getting real photographs of ghosts. 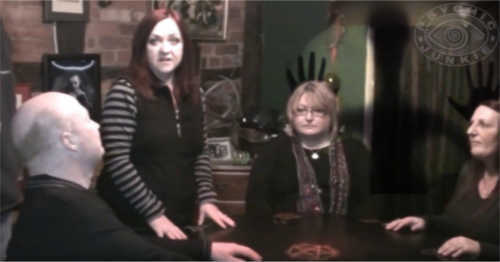 Follow a Ghost-Hunter's advice if you are aiming to take some real photographs of ghosts. "First it’s important to train your vision so as to see a ghost or spirit. People often ask “how” I actually see them. Of course, some of it, I was born with! But there is a knack to it that you can learn. When looking at a magic eye picture it looks like a mass of squiggles and dots – but when you relax, stare at one point and de-focus, then you begin to see a 3D picture emerge. It’s exactly the same with seeing spirit. It’s best to try this in the dark at first, so an overnight vigil on a Ghost Hunt is ideal. Focus your attention on one area – then take note of what is in your peripheral vision, as this is the vision we use to see spirit. Let your eyes gently de-focus. At first you may see colors or wisps of grey but the more you practice, the better you will get. You can try this when you are in your bedroom at night too – it’s how I taught myself to see spirit when I was little! Always remain rational – if the lights all go out that doesn’t necessarily mean that there is a paranormal explanation – check the electrics first before trying to take your ghostly photos. Always take notice of your intuition – it is your number one tool in Ghost-hunting. Should your intuition tell you to run then best RUN! But while running try to point the camera behind you and have your shoot mode set to burst, so that multiple photos are taken with one click, or run it on a video setting. You may be surprised with some real photographs of ghosts when you return to safety. Make sure you always carry spare batteries and torches – spirits have a way of draining new batteries and messing around with equipment – don’t get caught out and always carry spares. Always take spare jumpers/scarves/leggings – anything that will keep you warm – even in the summer it’s easy to misjudge how cold it gets in the middle of the night! Take some Chocolate and some water – two great grounding foods which will also give you a quick boost when your energy is flagging. If you do see anything remember to try and get a picture! Remember that full manifestations are quite rare – although they do happen. 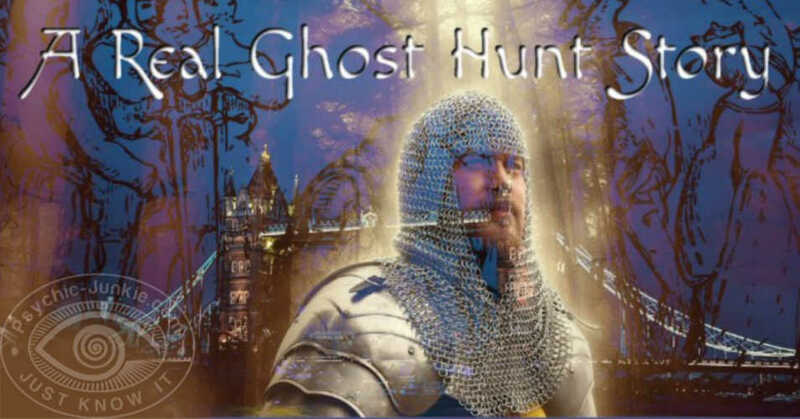 Don’t get disappointed if you don’t see a full blown ghost on your first hunt! Make sure you have something to eat before you begin. At 3am everyone’s tummy begins to rumble if you don’t – which can be off-putting when you are listening out for a ghost! Most importantly – have fun. And you could be lucky to go home with some really ghostly photos."